home Home arrow_right Forums arrow_right Minecraft arrow_right Help arrow_right Skin Invalid Link! I tried this with 3 different skins and none is working. I tried downloading/changing my skin to a different one but it never works! It takes me to minecraft.net and at the very top it says invalid link, does this mean I don't have very much internet or what! Download the skin. Then upload it on Minecraft.net under profile. 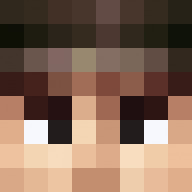 Did you download the skin to a file, then upload that image from your downloads to the minecraft.net?